With the release of the straight-to-DVD Dragons of Autumn Twilight animated movie on the horizon, we've fired off a set of a dozen questions to the movie's script writer, George Strayton. The first of a planned series of movies is an adaptation of the best-selling 1984 Dragonlance novel written by Margaret Weis and Tracy Hickman, with voicing for Raistlin being provided by the 24 star Keifer Sutherland, while the other cast members include Lucy Lawless (Xena: Warrior Princess) as Goldmoon, Michael Rosenbaum (Smallville) as Tanis and Michelle Trachtenberg (Buffy the Vampire Slayer) as Tika. For some interesting details, read below. SP: Please introduce yourself and tell us a bit about your background and how you got involved with the Dragonlance movie. George Strayton: In the mid to late 1990s, I was a game designer for West End Games, working on RPGs like Star Wars, Indiana Jones, and Men in Black as well as the D6 System. At DragonCon in 1996 I met Cindi Rice, who at the time worked for TSR. We struck up an immediate friendship and have worked on several projects together since then. After leaving West End, I became a screenwriter, starting off as a writer on HERCULES: THE LEGENDARY JOURNEYS, CLEOPATRA 2525, and XENA: WARRIOR PRINCESS. Cindi (now a producer) and I collaborated on a GREYHAWK movie that we shopped to every studio and production company in town, to no avail (unfortunately, the DUNGEONS & DRAGONS movie had killed all interest in any property related to the game). A few years later, I got an unexpected call from Cindi asking if I’d be interested in writing the DRAGONLANCE movie. I nearly dropped the phone from excitement. I read the CHRONICLES trilogy when it came out in the mid 80s and have been reading DRAGONLANCE books ever since. I had an interview with Cindi and the other producers and I got the job. SP: When it comes to writing, what influences you the most and where do you get your inspiration from? George Strayton: I wish I knew where my inspiration originated. I just love writing to the point that it’s a compulsion -- some who know me might say an addiction. In addition to screenplays, I continue to write RPG material and have recently begun to script comic books. And, of course, I DM three D&D groups for whom I write original adventures. SP: How would you describe the world of Dragonlance and what takes place in Dragons of Autumn Twilight to someone unfamiliar with the novels? George Strayton: Krynn is a world in which faith in the gods has gone extinct. In the past, the deities provided the races with guidance and aid, most notably magical healing. But these miracles are no more. It has become clear to people that the gods have abandoned them. Unfortunately, in recent days, one goddess has returned to Krynn -- Takhisis, the Queen of Darkness. With her dragon armies, she will soon dominate the world and enslave the entire population. Only a small band of adventurers stands in her way -- and they don’t believe they’re heroes. 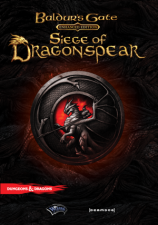 SP: Were you familiar with Dungeons & Dragons or Dragonlance before taking on this project? George Strayton: Extremely familiar. I started playing D&D in 1979 and currently run three groups and play in two. I have written adventures for the RPGA and recently co-wrote the WoTC D&D hardback FROSTBURN. As I mentioned, I’ve read the DRAGONLANCE books since they arrived in book stores more than 20 years ago. SP: What role, if any, does the D&D ruleset play in the movie? George Strayton: Those who play the game will note the references to the rules. We tried not to bog down the story -- especially considering the runtime of 90 minutes -- so we only mentioned those that would confuse a non-gamer viewer if we didn’t. The film doesn’t violate any official rules. In fact, at one point, an animator had drawn 40 archers being put to sleep by Raistlin’s sleep spell, even though I had written in the script that there were only four archers. He said, “Don’t you get it? It’s much more cinematic if it’s 40.” To which I replied, “Don’t you get it? That’s not how it works.” You will notice only four archers in the completed scene. SP: How true to the Dragons of Autumn Twilight novel is the movie's story? George Strayton: As true as it can be given that I had to condense a 450-page book to 95 pages. Luckily, Margaret Weis and Tracy Hickman vetted the script throughout the process. SP: What were the biggest challenges you’ve faced during the adaptation of the novel to the script? George Strayton: Trying to fit the story into 90 minutes. I had to cut whatever minor characters I could (like Eben Shatterstone), cut scenes not integral to the main story line (like the wicker dragon), and combine scenes so I could keep the best part of each. Given the episodic nature of the first book (which Margaret and Tracy have spoken about in many articles), it was imperative to find a throughline that would connect all the scenes into a something that felt like a single, cohesive narrative. SP: Did you work closely with the movie's producer and the cast, or were you less hands-on during the production? George Strayton: I was involved throughout the movie, including casting, the discussions of the score (I wanted symphonic, others wanted modern), and the voice-recording sessions. Once the animation began (in India and South Korea), Cindi and I had essentially no input. SP: Can you give us any practical examples of Weis and Hickman's involvement in the movie? George Strayton: The producers kept telling me to cut the script’s page-count. I started at about 106 pages, and they wanted 90. I continually turned in slightly shorter drafts, but could not meet their 90-page requirement. At one point, the script was cut by 10 pages without my involvement. When Margaret read the draft, she demanded they re-insert the Raistlin/Bupu farewell scene, which they had excised. It was the first and only time I actually got to make the screenplay longer. SP: What was the level of Wizards of the Coast's influence on the movie? George Strayton: WoTC gave us six or seven pages of notes, sometimes contradictory (like one note asking us to make the dialogue more modern and another asking us to make the dialogue more archaic). We addressed those notes as best as we could and they signed off on the script. SP: Have you played any of the old Dragonlance computer games, or any of the more recent D&D computer games? George Strayton: Although I’ve played standard table-top D&D since I was nine (and continue to play twice a week), I’ve never been a computer-game player. I don’t own any of the systems and my computer is a Mac. SP: Is there anything in the movie that we should pay special attention to? George Strayton: The last scene. I will say no more. SP: Thanks for taking the time to answer our questions!